We now know where the center of the universe is for Sony's camera division; the NEX system. 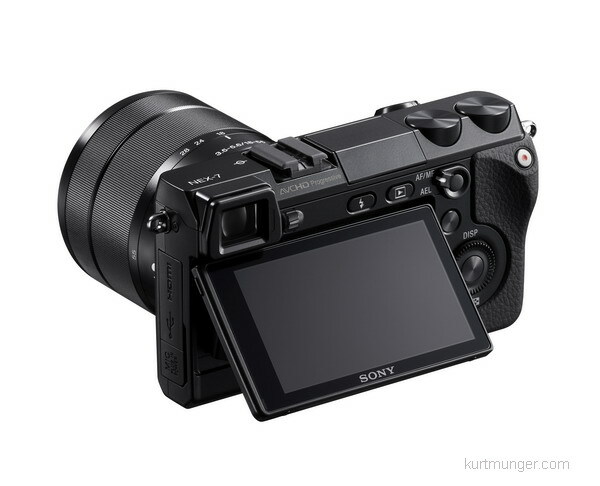 Both the NEX-C3 and NEX-5N are getting rave reviews, (even your friendly host is a wee bit excited by the NEX-5N), while the A77 luster seems to have taken a beating, especially if you read the whole review (and in between---image crops) by Imaging-resource, and others. Am I going to buy one? Not sure at this point, but the A900 keeps looking better and better as it gets older!! I bought the A900 on the first day of issue, and my prediction that it would still be considered top-line after five years of service seems like an understatement now. Could we be talking six or seven years? Noticeably absent from last weeks announcements are new full frame lenses. Where are the long awaited 70-200 F/4, 300mm F/4, 16-35mm F/4, 200mm F/4 or F/2.8 lenses for people that don't have a boat load of money? I guess Sony figures if you want one of those you can buy a 20 year old Minolta lens on eBay. 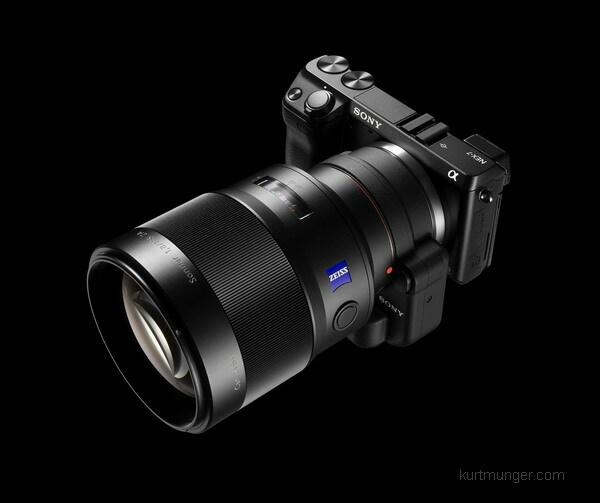 I'm still disappointed in Sony's lack of FF lens offerings, although I will say they have a decent selection. MIA; remember the Sony 500mm F/4 G lens, yes, the faux super-telephoto they've been bragging up for a couple of years now, well, it's nowhere to be found amongst last weeks releases, however, there is talk that a Girl Friday at Sony's HQ is using it as a cigarette urn/paper weight, so not all is lost. So that's it for now, September is here...already? Stay tuned for more updates to the A35 review. Huge ISO set for A35 and A580 comp. 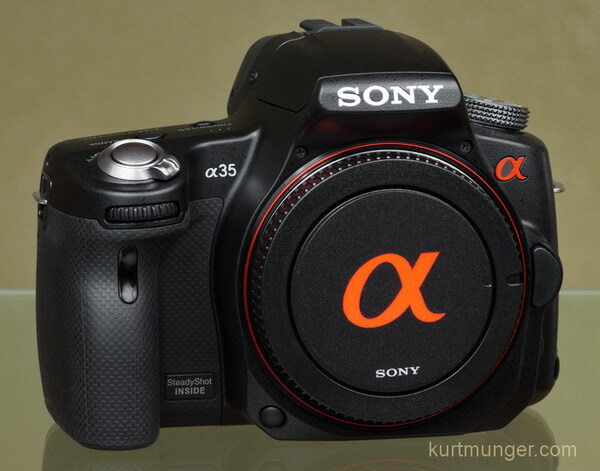 I spent this weekend checking out the ISO performance of the Sony A35, and also against the A580 just for kicks. The A35 does a great job at dealing with noise, and it's pretty much a draw between the two cameras as to which one is 'best'. For starters, I posted the RAW performance in one column, then the fine jpeg in the second, and finally the multi-frame noise reduction feature. Some reviewers are claiming Multi-frame NR will allow you two extra stops equivalent in ISO, so a multi-frame ISO 6400 shot would be as clean as a single shot ISO 1600; that's total BS based on my use, although if you look at my crops you can determine you will gain almost a full stop, which is pretty darn good too! If you have a Sony A100 (which has awful high ISO performance), try shooting an ISO 1600 shot, and then a single shot ISO 6400 shot with the A35 or Sony A580, or a multi-frame ISO 12800, there probably isn't much difference. Sony announces new cameras and lenses. 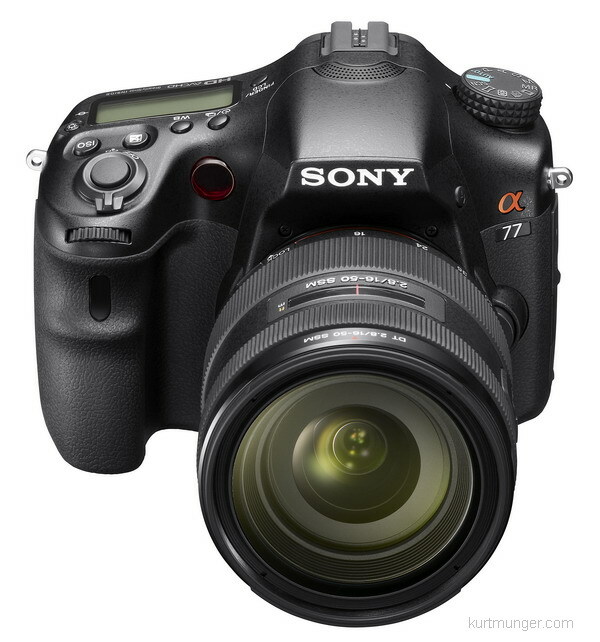 This morning, Sony officially announced the long awaited A77, which replaces the now four year old A700. The price is $1400 body only, about the same price as the A700 at introduction. 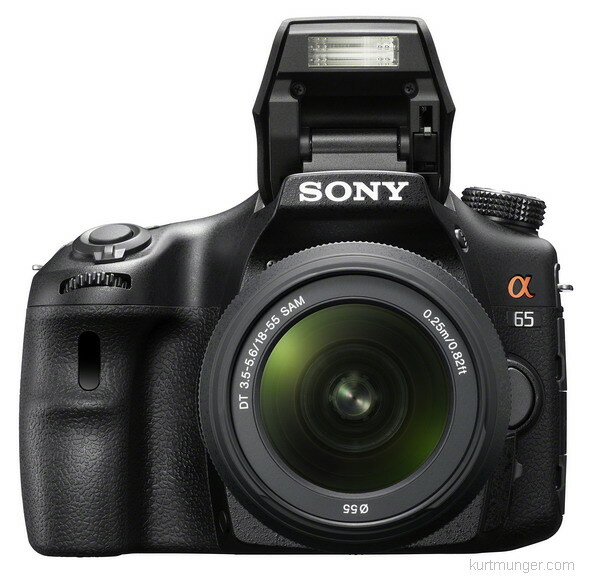 Also new is the A65, $900 body only (which is a stripped A77), a standard zoom, weather sealed 16-50mm lens (24-75mm equiv.) F/2.8 with SSM; cost will be $700 alone, or $600 with the body. I noticed there is no cRAW anymore, that's too bad, most people don't know what it is, but I used it all the time on the A700. There is an electronic first curtain shutter that can be turned on or off. This feature will reduce shutter movement blur, shutter lag, and makes the shutter mechanism quieter. Imaging resourse has some ISO comps of the A77 against various cameras; it looks like the A77 struggles at high ISOs, but that's expected when cramming that many pixels on a small sensor. If you want the A77, order it as soon as you can, don't wait for six months or a year for a better price, by then there will be talk of another super camera. I'm getting the A77 as soon as I can, and of course will do a review, and comp it with the A900. If you're interested in ordering the new A77/65, make sure you match the camera with good quality lenses, otherwise all those extra megapixels will only highlight the fuzzy sides and imperfections from an inferior lens. Check out the lenses below, all will handle 24mp, and some are very inexpensive. The NEX-7 is a huge upgrade from the 3C and 5N series. You get a built-in, although small flash, exposure compensation of ±5 in 1/3 or 1/2 increments, that's good. The shutter speed is 1/4000- 30sec, I thought it would be 1/8000sec max. Flash sync is 1/160sec, GN 6. Shooting speed of 10fps. Also new is a 24MP sensor and a Sony proprietary hotshoe, that's good as you can now use your accessory Sony flashes instead of the inadequate NEX add-on specialty flash, however, a new larger NEX flash has been announced for the NEX system, basically a larger version of the standard flash for the NEX-3/5. The price is $1200 body only, with a release date in November. Review of Sony A35 is underway. I'm still running this diminutive camera through the paces, but I do have the initial review started with a few product shots and specs, and some ISO comps to come later in the week. The image quality and jpeg processing seems to be nearly identical to that of the Sony A580, although I haven't sorted through the high ISO stuff yet, or used RAW since Adobe doesn't support the A35 yet, (I don't like Sony's IDC RAW, but may have to use it eventually). Observed; the A35 is much smaller than the A580, mostly noticeable in the hand-grip, and it's really small when compared to the A900, check out the second product shot. The battery for the low and mid-range translucent cameras is different from most of the regular Sony DSLR's, so if you have several NP-FM500H batteries (A900, A700, A580 etc), you may want to step up to the Sony A580, otherwise you could spend the difference with buying a couple of back-up batteries for the A35/55. The A580 screen is larger with a more useful area, and is slightly green in color balance with indoor lighting during preview, while the A35 seems to be factory trimmed to favor magenta. Both look about the same in review when the same white balance is used. My next post will be all the official news from Sony on Wednesday, so let's cross our fingers and hope for some surprises! Minolta prime lens list prices from 'back in the day'. Check out the suggested retail prices of most Minolta prime lenses from long ago, I'll post the zoom prices in a few days as I complete the table. The prices below were culled from period publications, and receipts sent in by readers. I'd like to thank Bruce from parts unknown, and Glyn (from the UK?) for providing most of the prices. Some prices for a few lenses seem quite high, and almost unbelievable for that time, but I do know that two of the lens prices match up very well with what my Dad paid for those same lenses in the late 1980s from receipts, so I believe the lower prices listed below are probably close to, say within 10% of what you'd expect to pay in the US at the date listed, with the higher prices being suggested retail prices. The first column lists the lens model with appropriate designation, like "G" or "APO" etc. If there is no designation, that probably means it was an original model, before the upgrade. The second column lists the price, the first price is the lowest from my data, the second price is the highest. If only one price is listed, it means I only had one source for that lens model. The third column is the year for the price, the first entry is the earliest, the second the latest. If only one year is listed, it means I only had one source. The fourth column lists the old prices converted to 2010 US Dollars; I used the highest old price for the conversion to current prices. The converted Dollar figure is for fun only as it has little relevance today because lens technology and manufacturing technics have improved greatly, which allows lens prices to be far lower with better optical quality than they were just 8-10 years ago. 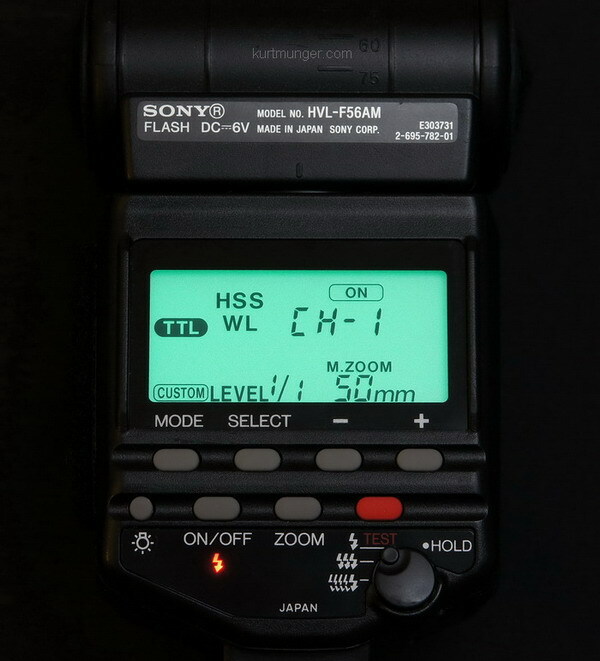 The HVL-F56AM was the flagship flash for Minolta/Sony from 2000 until 2008, at which time Sony came out with the HVL-F58AM. The HVL-F56AM is a feature-rich flash with plenty of custom functions, including modeling and multi-flash, a plug for an external battery pack, and a cable socket for Sony off-camera flash control. For some reason this flash unit is now somewhat scarce, and seems to bring a high price at eBay and Amazon. Don't pay too much, like over $300-$350, otherwise you can get the HVL-F58AM for a little more at a discount, or the HVL-F43AM for about the same. This flash works well with Radiopoppers™ triggers, without the set-up hassle of the HVL-F42AM. 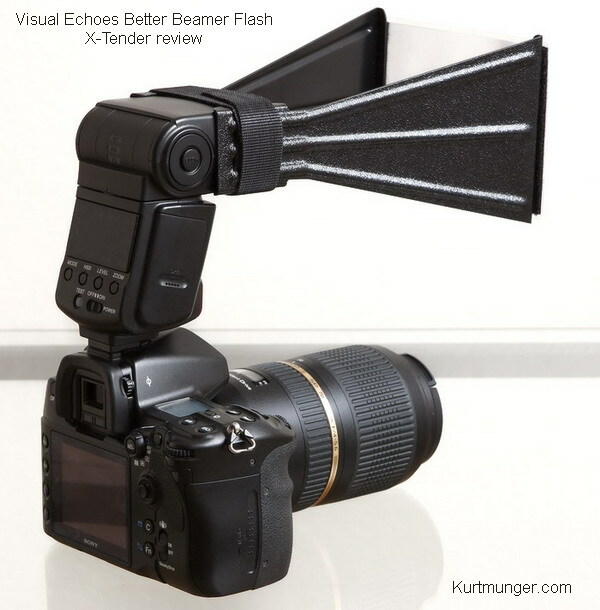 Visual Echoes makes a slick, but odd looking devise that extends the working range of your accessory flash unit via a "Fresnel screen" placed at a fixed distance from the flash head. Although the "Fresnel screen" is made from flimsy plastic, it really does work, but there are some limitations you should know about. There are several sizes to choose from. As it needs to be strapped down hard and aligned with the flash head fairly accurately, it's important to get one that fits your flash unit size. In this test I used the FX-1/1B medium size because it fits the Sony HVL-F42AM. If you have the larger Sony HVL-F56AM or F58AM, (or other brands) you need to get a larger size. Pardon my lack of updates this month; I moved to a new 'studio' last week, which took all week, and I wasn't able to add anything meaningful to the site during this awful time. The movers wrecked a few items, but I'm still able to operate at full capacity. I'm all settled in now, and ready for more reviews. The newest addition to Sony's SLT line is the A35, which will probably be Sony's least expensive alpha camera when they dump the old, and traditional A390. I'm going to do a full review of A35, and will compare it to the A580 in ISO and overall image quality, because I presently have both, and why not since I like to do that sort of thing! 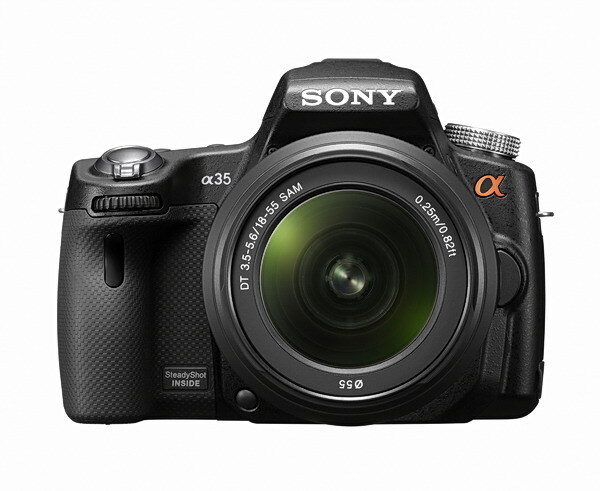 The A35 is now available with body only or kit with the 18-55mm lens. Coming up this week is a 'Visual Echoes Better Beamer flash X-tender' review, and a quick review of the Sony HVL-F56AM flash. 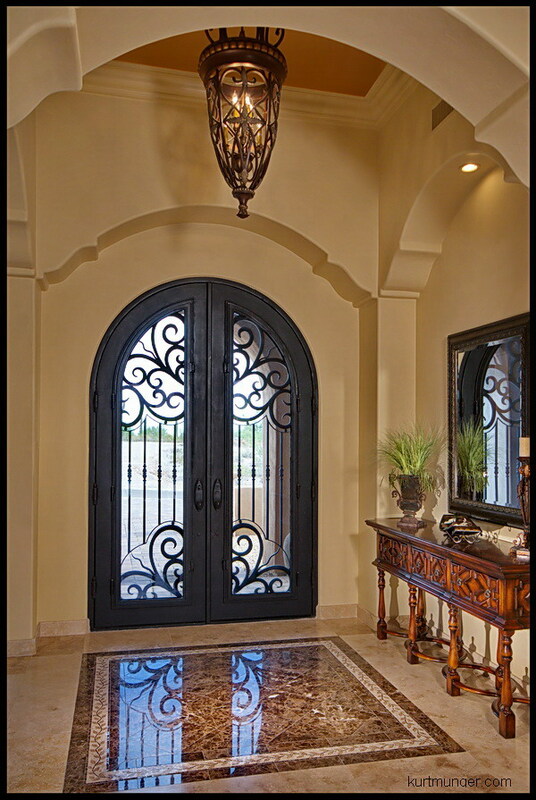 This image is one of several that I took featuring the design details and decorating of an expensive custom home to be used for a promotional website. I took nine shots in about three hours, and that wasn't enough time, I felt rushed. The weather didn't cooperate as you can see through the doors, but it really doesn't take anything away from the house. For this shot I used a very simple lighting set-up. A flash with umbrella is just to my right (placed so the reflection wouldn't show in the doors), and was used for general fill, especially up high. A second flash to the left was used with a tight grid to highlight the green plant in the corner. One more flash was placed to the left and pointed at the table to show off the details. The shadows point to the location of the lights. The iron door inserts wanted to blow out too easily, even with a relatively fast shutter speed. I wanted to over-expose the outside because there's an empty dirt lot across the street (which doesn't make the image stronger), but I really wasn't able to without losing the door details. Specs for the shot. Since the images are for a website, resolution is irrelevant, so I used the Sony A580, and Sigma 10-20mm lens at 20mm (30mm equiv), ISO 200, F/8, 1/50sec. I rotated and slightly cropped the image, that's about it. I'll post more shots of this beautiful home in the near future. 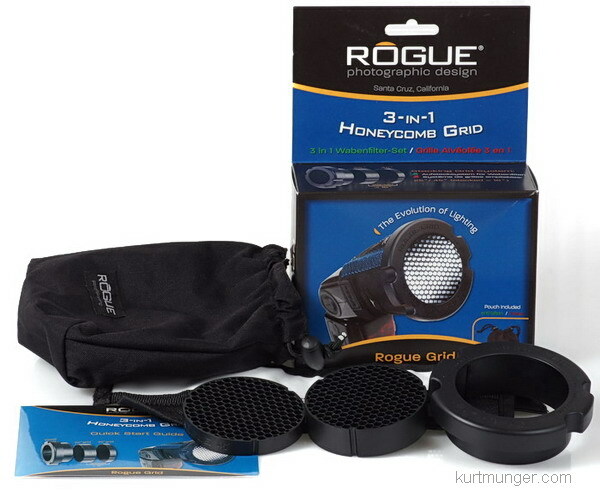 Rogue 3 in 1 honeycomb grid review. Rogue makes some pretty neat products, most of which are actually useful for the average photographer. The 3 in 1 honeycomb grid is designed to fit over a standard camera accessory flash unit, and provides a way to control the coverage of light that falls on the subject. Grids are better than snoots, although the difference is sometimes subtle. Grids are used to concentrate light on objects without causing unwanted 'spill' light that might over-expose other areas in the scene or cause large, harsh shadows. They can also project a beam of light for quite a distance so you can keep the stands and flashes out of your pictures. These Rogue grids will appeal to people that want to take their photography to a higher level, and need something with a small footprint for their camera bag that will hold up to constant use. People that are still in the experimental stage of photography can fashion a snoot out of a corn flakes box and get acceptable results. Grids can be made from various lengths of drinking straws glued together and encased in a foam wrap to make them fit over a flash head, although this method may give results closer to a snoot than a grid because of the hole size, length and shape. I forgot to mention in the Rokinon 35/1.4 review that Rokinon's website claims it's 'ideal for use as a portrait lens.' Also for a good laugh, check out their sample pictures on the same Rokinon page, they're awful, and won't enlarge, but that's probably a good thing. If you use one of these lenses for taking someone's portrait, make sure you charge 'em a huge amount, because it's most likely going to be the last job you'll ever get. Don't use a wide angle lens for portraits, it makes their face look messed up because of the perspective. With the wide coverage of 35mm as used on a full frame camera, you're only going to be about 2' (.6m) away from their face, which is way to close! Use an 85mm on full frame, and 50mm on an APS-C camera as a starting point for good face pictures. The Sony NEX C3 is now available with the 18-55mm kit lens. The June homepage entries have been sent to the homepage archives, or just go to the "older entries" link at the bottom of this page. Coming up shortly is a Rogue honeycomb 3 in 1 grid review, and a Sony HVL-F56AM flash quick review. Also look for a Better Beamer flash X-tender review in a week or two; these goofy things really work, but do have limitations!